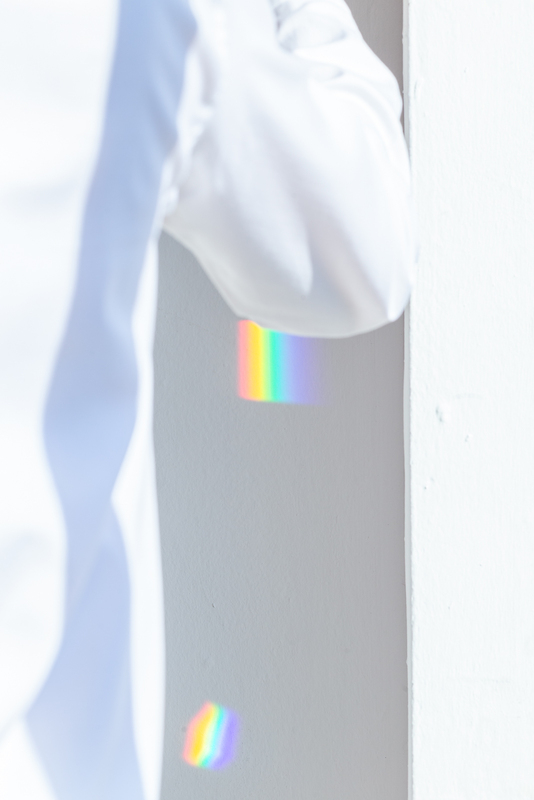 “Crystallization of the emotion I feel every time a ray of white light breaks down in the 7 colors of the rainbow”. 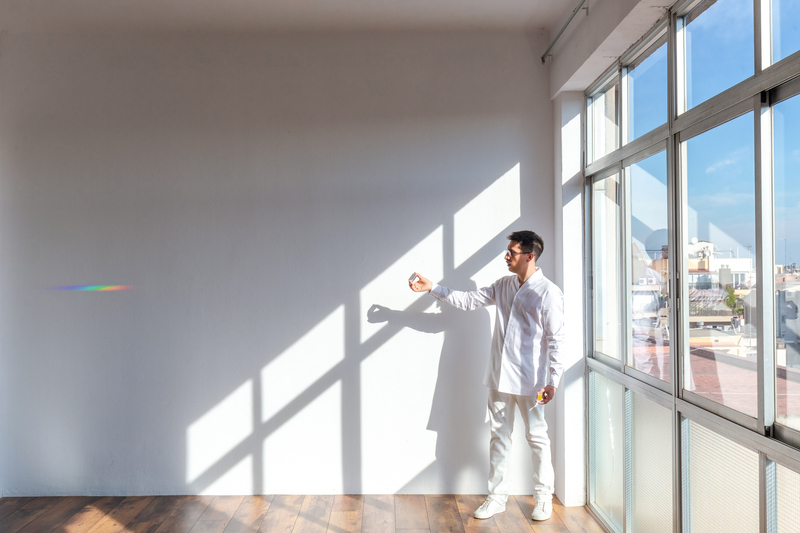 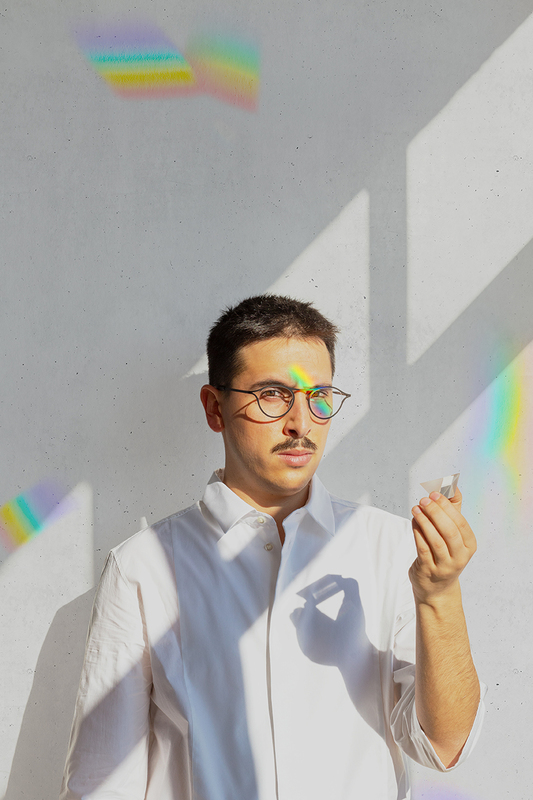 This project is the result of a performance filmed by David Leon Fiene, in which, with some prisms, the designer Luca Hugo Brucculeri, generates different iridescent reflections of light on a white wall. 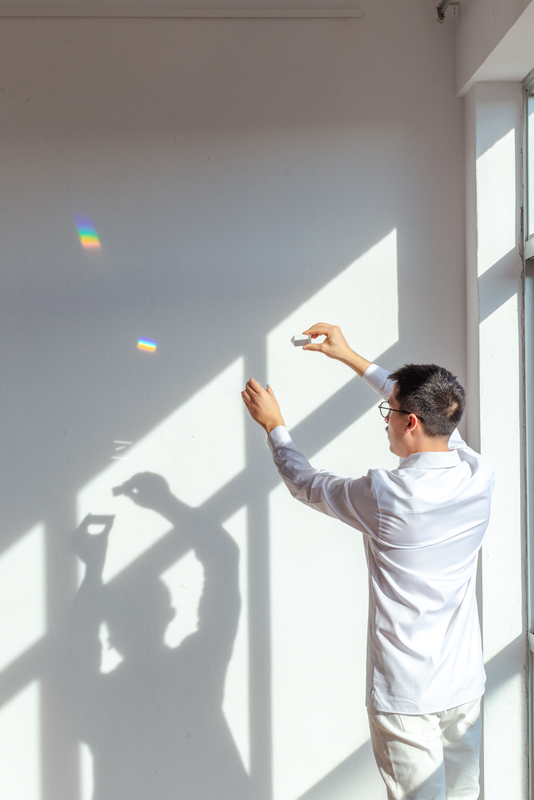 These slight, fleeting and ephemeral reflections of light, captured by the photographer Sandra Rojo, make up the mural designed by the 40th anniversary of Coordonné.